Dancer best recognized as one member of the South Korean boy band NCT and the sub-unit NCT 127. The sub group's eponymous EP topped out at #2 on both the Korean and US World charts after it was released in July of 2016. 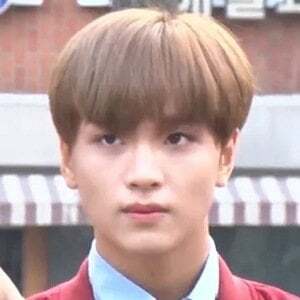 Like his group mates, he was a member of SM Rookies and had previously debuted in 2014 as Donghyuck. In 2016, he appeared on the band shows NCT Life in Paju and NCT Life in Bangkok. His real name is Lee Dong-hyuk. He has two younger brothers. He is joined in the NCT sub-unit NCT 127 by Taeil, Taeyong, Mark, Jaehyun, Winwin, and Yuta.